Every single business owner in the US has experienced problems with nonpaying clients. The following shoes the worrying statistics once an invoice is delinquent. Collecting on the debt decreases by more than 1 percent every week the debt remains unpaid. 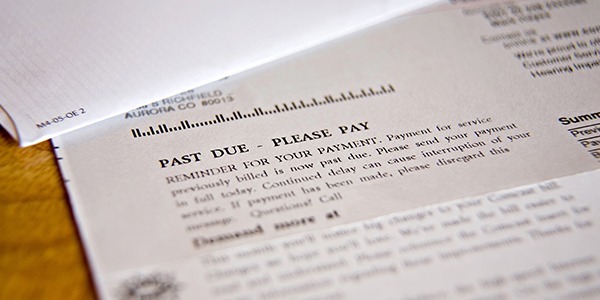 Once the invoice is 90 days overdue, you have less than a 70 percent chance of collection. This drops to almost half once the invoice is six months overdue. Rapid action is necessary and taking steps could improve the situation. 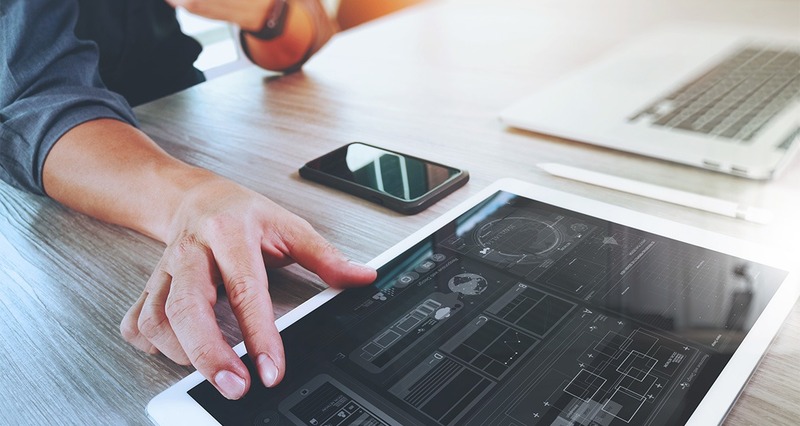 Consider putting in place a B2B online payment processor. The key to resolving nonpayment issues is to look for the red flags. Flags that show a client could be in trouble before a company even misses a payment. Here are some top things to look for that can show future payment problems. The company is changing locations. It’s expensive to move, so you need to look at the reasons behind it. Is it a smaller location? If so, that could point towards financial problems resulting in downsizing. If it’s a bigger location, that could be a good sign. Financing expansion is often at the expense of companies that the company deals with. The company is laying off workers. The cause of this is usually financial problems. You may notice that an employee you usually deal with has disappeared. This could be a sign that he or she has moved on to a more reliable workplace before the company goes out of business. The business is being sold. Usually, a business is only sold when financial difficulties are being experienced. When the company sells, collecting on overdue invoices becomes harder than ever. Excuses. You may here, “We can’t find the invoice.” “The invoice isn’t approved yet.” “The person responsible for signing checks isn’t in the office at the moment.” This could be a subtle indicator that all isn’t right at the client’s end. What to Do When You Spot A Red Flag? If you recognize any of these signs from one of your customers, it’s time to get some answers. Call the client and find out more about the situation. Whenever possible, speak to several people. Then you can determine the consistency of the story. If possible, go to the client’s premises and find out the extent of the problem. If you suspect there is a red-flag situation with one of your clients, you need to take aggressive action. If not, you won’t receive a payment quick, or, even, at all. Give the account extra attention and avoid waiting around to see what happens. One of the best ways to improve the chance of payment is to put in place a B2B online payment processor. This makes the process of paying for goods and services a lot simpler and more convenient. Use An online payment portal that accepts many payment methods. A portal can make the difference between receiving payments on time and having to chase nonpaying customers. Also, put in place the facility to take payments over the telephone. 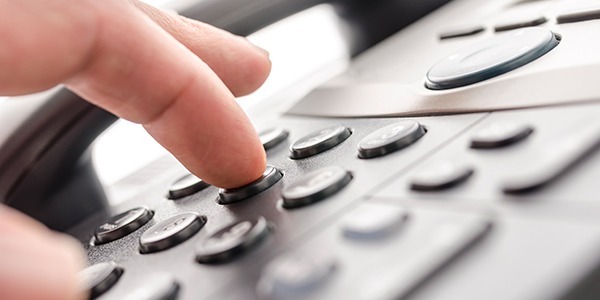 During collections, telephone conversations will help to improve cash flow with real-time authorizations. This way you don’t have to rely on waiting for the client to write a check. Call the Cash Flow Group today with any questions or concerns you might have. We look forward to hearing from you! Having a small business can be a very exciting venture. There are also many tedious procedures. You need to follow these procedures so the business can function well. Being a business owner is a major responsibility. Even if that business is small. It can be a very steep learning curve to discover how to best manage and run that business. All this sounds daunting, but there is good news! There are many service providers that can help you manage the different elements of your organization. While there is any number of things that your business will need to be a success, three are of key importance. They may not be especially exciting, but they are vital. Business owners tend to overlook them at their peril. The key elements are business insurance, accounting services, and online payment processing. These are for all small business owners. Let’s take a look at why each is important and why you should make sure you have them in place. Having good accounting services is key to your business’ success. This goes for whatever type of company you have and whatever size it is. Accounting is vital to keep track of all your company’s accounts. Equity, liabilities, and assets and for any business to function well. Having a strong grip on how, why, and where money goes. You can opt for online accounts services. Or use the services of accounts to keep this information within easy reach. Keep on top of all transactions. This way you can plan your budget, report your profits, and keep investments in your company with ease. Car insurance helps drivers if they have an accident. Business insurance is essential to protect your business in case something goes wrong. Being prepared for a worst-case scenario is essential. Having a backup plan is as essential should anything go wrong. There are many kinds of business insurance. Insurance including fire, hazard, unemployment, and workers’ comp. Making sure you have the ones that are most appropriate to you in place is essential. Insurance is all the well-being of your business. Florida debt collections and payments – advice from The Cash Flow Group. Everyone has creditors they would rather pay back before others. This includes debts owed to family or friends. You should pay back these debts before bankruptcy. Then they are now considered preferential debt payments. This would allow the bankruptcy trustee to recover any payments made. Preferential payment helps to make payments distribute more even amongst all creditors. How long must you wait in order to avoid a preferential debt payment? This will vary depending on your relationship with the creditor. A preferential debt payment is a payment made within 90 days of filing for for bankruptcy. Close friends and family have even stricter terms. These payments made within 1 year before filling for bankruptcy are being considered a preferential debt payment. The same three requirements will still apply. What happens when a preferential debt payment occurs? What is a preferential debt payment occurs during the bankruptcy process? In that case, the trustee can recover (clawback) the full amount paid. This is not illegal unless the payment was being made to defraud creditors or hide assets from the court. In most cases, the payment is being clawed back from any of the involved parties. The payment will then become part of the bankruptcy settlement. How to avoid preferential debt payments? The easiest way is to simply avoid having payments fall within the designated periods. This means you may have to avoid filling for bankruptcy until these payments have cleared the preferential period. You should not do this with the intent of defrauding your other creditors or in an attempt to hide assets though, or else you may risk charges for your actions. One way to avoid this confusion is to stick to a regular schedule for payments, as to avoid the appearance that these payments were made purposefully to favor one party over another. This article should not be taken as legal advice. Yet, the information provided should help you decide whether you have given or received a preferential payment. If you believe you may have an issue, we suggest you seek the advice of a lawyer. Do you have questions about preferential payment? Feel free to contact us today! We look forward to hearing from you! Commercial Collection Agencies Florida – The Cash Flow Group is here to help. The end of the year always brings some predictable events. You know that magazines and websites will be releasing their lists of “best movies” or “most memorable events.” You know that car dealers and other large item retailers will be trying to sell off expensive merchandise. You know payroll departments will be preparing to fill out W-2 forms, and accountants will be getting ready for tax season. As a commercial collection agency there are certain tasks we’d love to see business owners add to their annual end of the year to-do lists. Once an account is 90 days overdue, there’s already a 26% chance that it will never get paid. At 7 months overdue, there’s only a 50% chance that you will get paid. Ideally, business owners would routinely check for late invoices and turn them over to a reputable collection agency while there was still a great chance of getting the invoice paid. But at the very least, reviewing past due invoices is something that should be done at the end of the year. The world has changed a lot in the last five years. If you haven’t updated your terms and conditions on credit applications recently it may be time to make a change. Are your internal collection policies and procedures working? Can you make changes to improve efficiency and effectiveness? Are you making phone calls when you should be writing emails to get answers in writing? Are you writing emails when you should be making phone calls? Is there anything you could automate, such as overdue notices, which would make life easier for your Accounts Receivable department? An annual review of your policies and procedures may help you identify both problem areas and strengths. Strangely enough, many businesses, especially smaller ones, often make it difficult for clients to pay them. If you’ve resisted allowing online credit card transactions, or PayPal transactions because of fees, it’s time to rethink those ideas. Services such as PayPal and Square may make your business more time efficient. 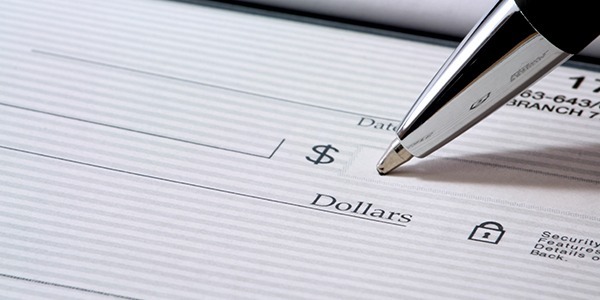 Don’t forget to update your check payment procedures as well. Services like Vericheck can help you avoid accepting bad payments. When you hire a lawyer or a credit collection agency you’re hiring a company that will represent you. The last thing you need is someone from outside your company creating legal or reputation hassles for you. The end of the year is a great time to check in with the reputation of any service provider that represents you. Check Better Business Bureau ratings, online reviews, and professional organization memberships. The end of the year is a busy time and adding more “to dos” to your existing task list can be daunting. But, making sure that you’re on top of unpaid invoices and payment policies can be a great way to ensure that you start the next year off right. If you’re end of the year tasks reveal debts you need help collecting, make sure to let us know, The Cash Flow Group is here to help. The answer to this question varies depending on your personality and business experience. Find good, honest people, and surround yourself with those people. You may have pay a little more for those types of people, but they will save you mounds of headaches in the long run. Ask yourself how you would like to be managed, and then devise a way that would suffice your philosophies and beliefs. The collection industry is often a fast paced, high stress environment. Make sure that you hire good help that know how to work with people, are not prone to offense, and are teachable. Likely you will be working in your business and with these people on a daily basis. They will learn to trust and respect you. Help them succeed by providing them a comfortable work environment. Give them the right tools. You are helping your own business succeed by doing these things. It is important that you are a part of your debt collection business. Most small business owners make the mistake of getting “stuck in the business”. They also don’t have time to “run the business”. Most small business owners get stuck in the day-to-day grind of the business. They can’t get themselves out of the day-to-day tasks long enough to run a successful business. Hire good help that you can trust. This way you can delegate some of the day-to-day responsibilities of the business. Now you have time to “run your business” and “expand your business”. Be cautious though, you don’t want to give all responsibility away. You need to still be involving yourself in your business. At least enough to know what is going on and provide accountability to others. Regardless of how you decide to manage your business, the “golden rule” applies more so now that you are a manager. The Cash Flow Group can help with advice and answer any questions you might have about your debt collection business! Contact us today!